Next visit to San Francisco, go with NÜ Car Rentals. Car rental in San Francisco is easy, cheap, and hassle free with NÜ Car Rentals at SFO Airport. San Francisco, in northern California, is a hilly city on the tip of a peninsula surrounded by the Pacific Ocean and San Francisco Bay. It's known for its year-round fog, iconic Golden Gate Bridge, cable cars and colorful Victorian houses. The Financial District's Transamerica Pyramid is its most distinctive skyscraper. In the bay sits Alcatraz Island, site of the notorious former prison. 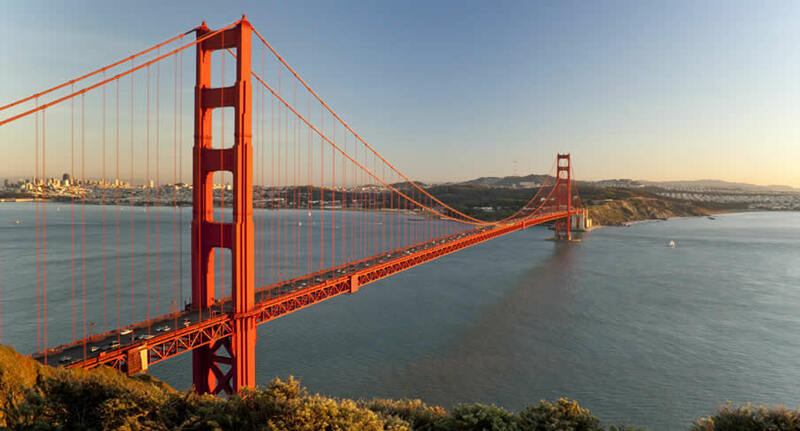 Famous for the Golden Gate Bridge the city has many attractions you can visit by rental car. NÜ Car Rentals makes it easy to get a car rental in SFO Airport, San Francisco.